ABUJA, NIGERIA (DAILY TRUST) --The Peoples Democratic Party (PDP) has asked the National Assembly to impeach President Muhammadu Buhari over his delay in sacking two top government officials over their alleged involvement in corruption. 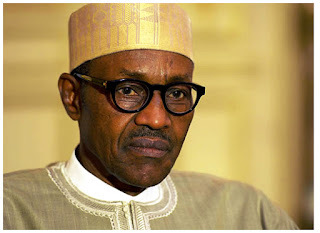 President Buhari ‎yesterday sacked the suspended Secretary to the Government of the Federation (SGF), Babachir Lawal and former Director General of the Nigerian Intelligence Agency (NIA)‎, Ayo Oke over corruption allegations against them after several months delay. But shortly after Buhari's decision was announced, the PDP in a statement by its National Publicity Secretary, Prince Dayo Adeyeye said the delayed sack of the duo was a slap on the faces of Nigerians. The party also ‎said their cases should be referred to the EFCC for proper investigation and trial, adding that Buhari should also disclose to the public the full ‎report of the probe panel against them, headed by Vice President Yemi Osinbajo. members, even when the evidence is flimsy they will be visited with multiple harassment and intimidation for months and weeks without proper trial. "We site the case of Sambo Dasuki who has been in detention for over two years and running even when many courts in Nigeria and the Ecowas Court have ordered for his release, but the President has fragrantly disobeyed these court orders which again are a violation of the Constitution of the Federal Republic of Nigeria. "This is an impeachable offence. So the President cannot just sack Ayo Oke and Babachir Lawal and expects us to be clapping for him. We believe that we are operating under a democracy and a Constitution that governs our affairs. "To have subjected these people to different sets of rule and treatment is totally unacceptable. Nigerians are the same under the law and Babachir Lawal and Ayo Oke should not be t‎ried by the Presidency while others are hounded by the EFCC and ICPC. "These actions of Mr. President are therefore a breach of his oath of office which he swore to defend the Constitution of the Federal Republic of Nigeria and to be fair and just to all Nigerians without any discrimination whatsoever. The action of the President is a gross violation of his constitutional oath and therefore constitutes a veritable ground for impeachment. "Using and applying different laws to different people in the country is a direct assault on the constitution and the rule of law. Consequently, we call on the National Assembly to begin processes to impeach the President for breach of the Constitution and fragrance disobedient to the laws of Nigeria. "The President has by his actions taken Nigeria to the level of ‎a banana republic. We are not in a banana republic, this is the Federal Republic of Nigeria . Three successive governments of the PDP did not act in the manner President Buhari is acting. "There is no doubt that the sudden sack of the SGF and the DG of NIA is just a consequence of the backlash on the Abdulrasheed Maina saga. Up till now there’s no answer to the pertinent questions we have asked on the Maina saga. "The government cares less about the feelings and opinions of Nigerians. This kind of arrogance is unprecedented in the history of this county. We again call for the arrest and investigation of the two Ministers involved in the return of Maina into the Civil Service, that is, the Minister of Interior, Bello Dambazau and Abubakar Mallami , the Attorney General of the Federation & Minister of Justice," the party said.